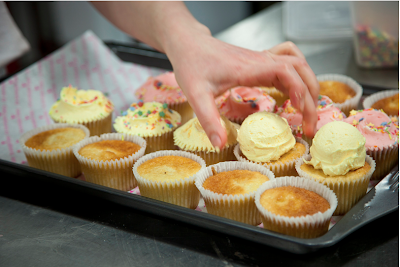 The Hummingbird Bakery Launched A Blog! Okay, okay, I'm being mean. Admittedly, I suffered from the same aesthetic issues with my blog template. Maybe the Hummingbird Bakery doesn't have graphic designer friends like Troy to help them out. But template issues aside, the official Hummingbird Bakery Blog looks like it's got some great content. 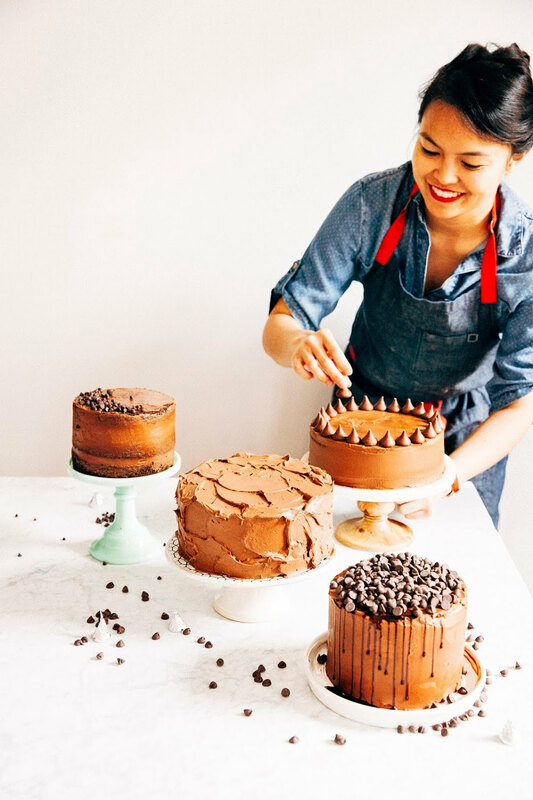 They've got FAQs for recipes in their two cookbooks, as well as recommendations for baking equipment and ingredients. I'm personally excited about the blog's photographs though. 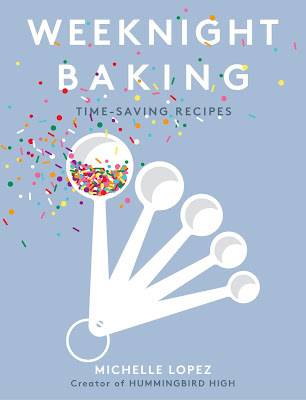 They've included clear, high-quality photos that provide insight into their baking techniques that are not mentioned in the Hummingbird Bakery Cookbook. Ice-cream scoops to measure out their frosting! Not mentioned once in the Hummingbird Bakery Cookbook. When making the Hummingbird Bakery Cookbook's frosting recipes, I was always surprised by how much frosting there was left in the bowl. Hummingbird Bakery Cookbook recipes tend to be conservative in terms of quantity -- for instance, the Hummingbird recipe for vanilla cupcakes only yields 10 cupcakes! Hummingbird Bakery frosting recipes, on the other hand, tend to be generous. Until seeing the picture above, it never occurred to me that I was being too conservative with my frosting proportions. A lot of cupcake bakeries tend to err on the side of overfrosting their cupcakes. I find eating a cupcake that's half-cake, half-frosting to be an unpleasant experience. The above cupcakes were from when I finished adapting the Hummingbird Bakery Cookbook's vanilla cupcakes recipe for high-altitude. I thought they were perfect, but when compared to the picture on the official Hummingbird Bakery blog, my cupcakes apparently look nowhere near golden enough! Which brings me to my final point of contention with the Hummingbird Bakery Blog. Sadly, despite the multitudes of helpful information that the Hummingbird Bakery's official blog provides, I noticed that there was a lack of discussion surrounding high-altitude adjustments. I was a little disappointed -- I was hoping for some reassurance that my work was accurate, or on the right track at the very least. But alas, not even a mention of high-altitude baking was anywhere in sight. 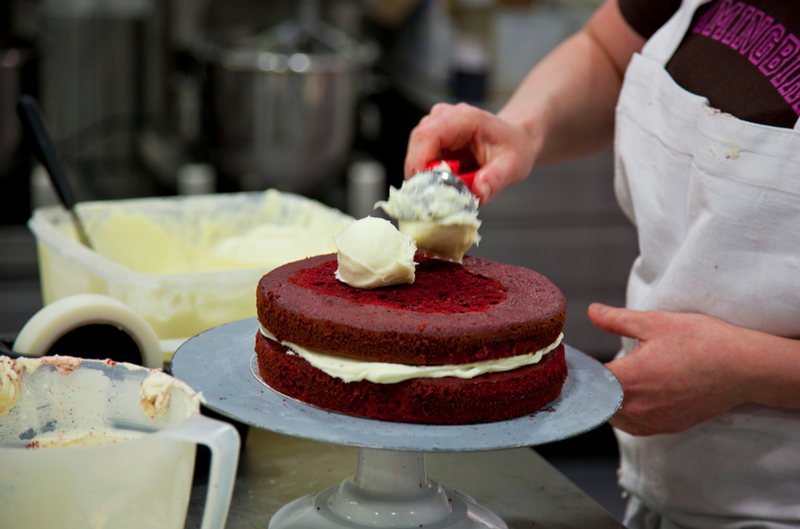 On the plus side, that means this blog can keep going -- Hummingbird Bakery fans can refer here! for recipes that I've converted to work at high-altitudes. Somebody's gotta fill this niche market, right?